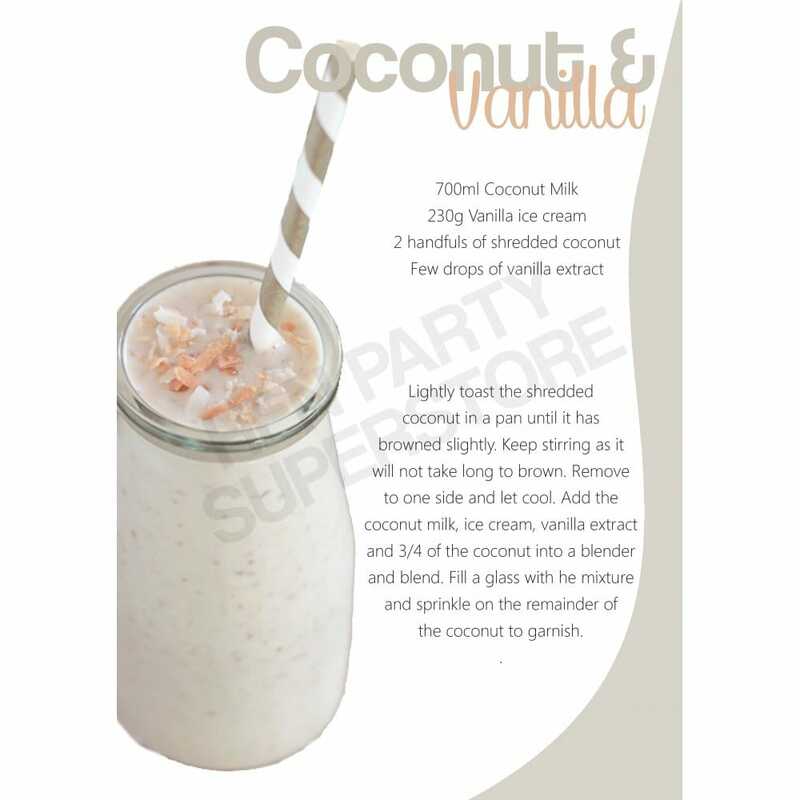 For complementing flavours of sweet and nutty, try out this coconut and vanilla milkshake recipe, ideal for making at home Hen Parties. Using just four ingredients, this coconutty delight is simple to prepare has a silky smooth consistency, thanks to the coconut milk and smooth vanilla ice cream. The toasted coconut garnish adds a bit of crunch to the mix, with a distinct nutty flavour. Download and print this recipe for full instructions on how to prepare.